Using a WordPress child theme is always recommended when doing customization. 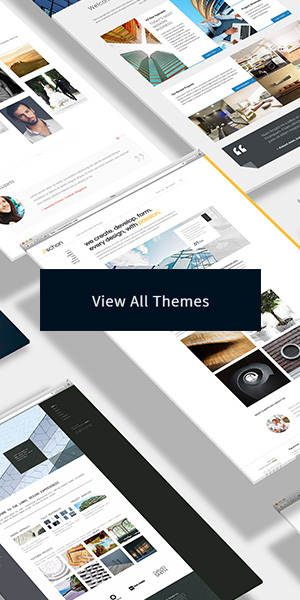 Are you thinking about customizing some parts of our theme to make it fit your requirements, but you are not sure how to do that and where to start? In this series, we will guide you through the process of how to create a new WordPress child theme, how to customize the theme’s template files, functions, and CSS via the created child theme. The instruction in the series can be applied to all of our themes. The main theme (parent theme) we use for the demonstration here is Fineliner. 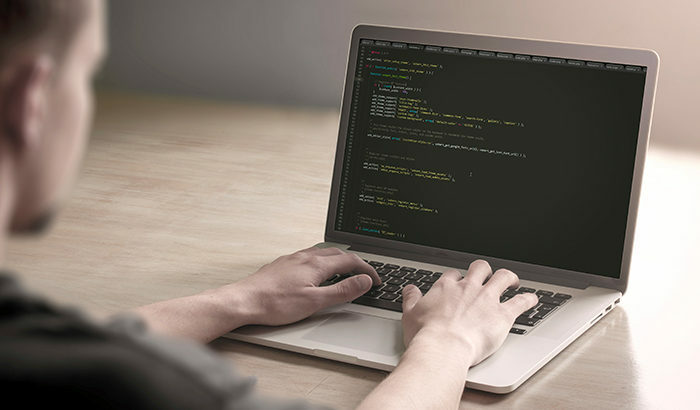 Before proceeding, keep in mind that the theme customization and/or the issue of the customized code is outside the scope of item support provided by UXBARN. We tested the code based on the default theme and are providing the information as a guideline. The publishing of this information does not imply support for any customization. Please take a moment to review the Item Support Policy. You MUST exactly know what you are doing when following the article instruction. Otherwise, we would highly recommend finding a developer to help you out on the customization. A child theme is a special theme that contains most of the custom code for the purpose of theme customization. Basically, the custom code in a child theme overrides the code and functions of a parent theme. 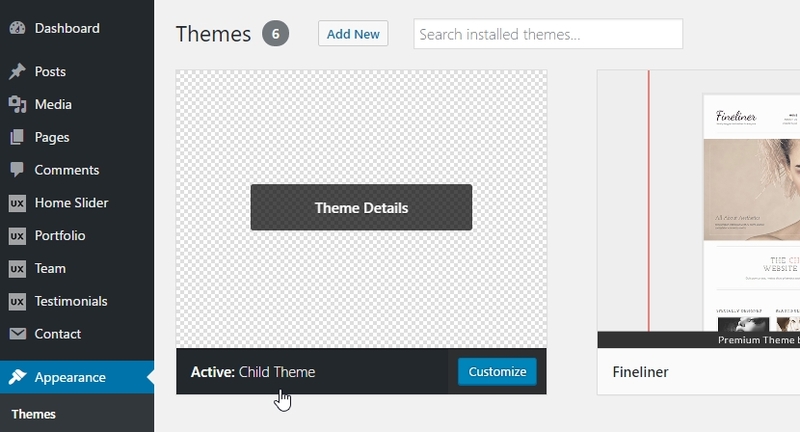 So, if a parent theme supports the use of a child theme, you will then be able to customize it to whatever you want. Customizing the code via a child theme is always better than direct editing the code of a parent theme and is strongly recommended. Why? The primary reason is that if you directly edited the code of a parent theme, when the theme is updated to a new version, all of your customization will also be gone due to file replacement. But if you put all of your customization in a child theme, they will not be affected by the theme update since they are in a separate folder. OK, now you know the basic information and concept of a child theme. The following sections will guide you on how to create one. 1. Before everything else, make sure that you are using the latest version of the theme you want to customize. See this related article for how to set up an automatic update in our themes: Enabling Automatic Update in UXBARN Themes. 4. Create two required files in the “child-theme” folder which are style.css and functions.php. You may be working with a different theme, so adjust it accordingly. Since the functions.php file of a child theme will normally be loaded before the parent theme’s file, if we do not use high numbers in our case, the child_theme_enqueue_styles() function will be called before the parent theme. As a result, our child theme’s style.css file will be loaded before the parent theme’s stylesheets. And that is not the result we expected it to be. So, by using this code snippet, the style.css file of the child theme will be loaded as late as possible in the theme’s stylesheet list on the front end. The file will be loaded after the parent theme’s stylesheets. This means that you can put your custom CSS code in the file to override the parent theme’s styles. 7. Now go to your WordPress admin and go to the “Appearance > Themes” menu. You will see your child theme appearing in the theme list. Click to activate it. The created child theme will be available on the Themes page. 8. That is it for creating a new child theme! In this article, we just talked about how to create a WordPress child theme to use with our Fineliner theme (the concept can also be used with our other themes.) Once the child theme is built and activated, you can use it to customize the code of the parent theme by overriding them. We will talk about that later in the next articles of this series. Note that all the instructions and code in the series are based on UXBARN themes only. If you are using a theme from another provider, there might be some differences that you need to change accordingly.